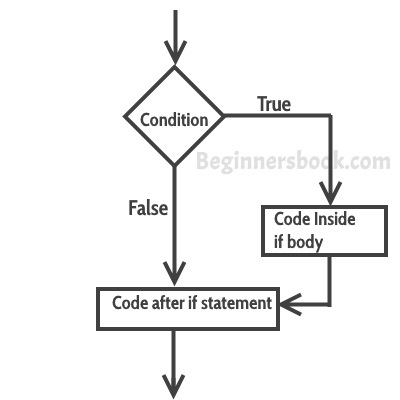 When we need to execute a block of statements only when a given condition is true then we use if statement. In the next tutorial, we will learn C if..else, nested if..else and else..if. The statements inside the body of “if” only execute if the given condition returns true. If the condition returns false then the statements inside “if” are skipped. Explanation: The condition (x<y) specified in the “if” returns true for the value of x and y, so the statement inside the body of if is executed. We can use multiple if statements to check more than one conditions. In the above example the output depends on the user input.